Guli Francis-Dehqani was born and raised in Isfahan, youngest daughter of the late Anglican Bishop in Iran, Hassan Dehqani-Tafti. Guli has lived in England since she was 14 after her family moved there following the murder of her brother, Bahram, in 1980. Having worked for a number of years for BBC World Service Radio, Guli has served as an Anglican priest in the Church of England since 1998. 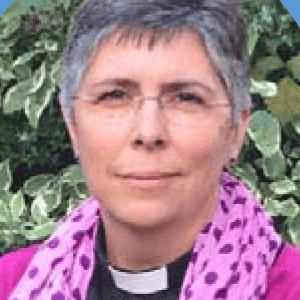 She retains links with the Episcopal Church in Iran, is on the Executive Committee of the Friends of the Diocese of Iran and acts as Commissary to the Bishop in Iran. She has a PhD on the role of women in religion and interfaith encounters, looking especially at the part played by missionary women in the development of the Anglican community in Iran around the late 19th and early 20th centuries as the church began discovering its own identity as truly Persian. Guli is married with three children.